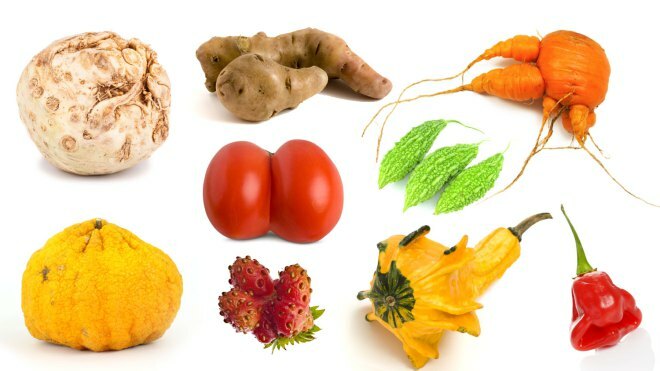 In a beautiful victory in the fight against food waste, Raley’s will now sell ugly vegetables. Let’s just come right out and say it: Picky eaters are annoying. Too many people turn up their noses at perfectly good foodstuff over something barely unappetizing (looking at you, lady in front of me at Seattle Coffee Works yesterday — can a latte really be “too creamy”? IT WAS FINE). So, to avoid being that person and, more importantly, to cut back the U.S.’s massive food waste problem, it’s high time to stop demanding perfection from our food. In this promotional fundraising video, the startup’s co-founder Ben Simon explains how it works: “You get a box of seasonal ugly produce delivered to your door every week, and because this produce looks a little funky on the outside you get it for 30 to 50 percent less.” They plan to start delivery in the San Francisco area sometime this summer. And it seems at least one major grocery chain may give it a go. Imperfect has just inked a deal with high-end chain Raley’s, which has more than 100 stores in California and Nevada. The chain says it will launch a pilot program, “Real Good” produce, in 10 Northern California stores in mid-July. Raley’s Megan Burritt says she’s working on in-store education. When customers are picking up a funky-looking double cherry or an apple that may look like a reject, she wants them to see it in a new way. Perhaps she’ll market them as the underdogs of the produce aisle. “Who doesn’t love an underdog story!” Burritt says. Truth. And though I don’t want to get too emotionally attached to my squash and potatoes, you gotta feel a little bit of kinship with these little ugly guys. We can’t all be Michelle Pfeiffer! And neither should our vegetables! Erm, you know what I mean.